You thought having a home gym in New Hampshire was super cool not until you decided to move out to a new location. How do you pack and move all your treadmill, dumbbells, and exercise bikes? Your furniture, utensils, and clothes take up enough space. Don’t be all stressed out yet. Here are some essential tips that will help you pack and move out your exercise kits without many hurdles and also safely. Remember, it is best to hand over the moving task to an experienced moving company. Prepare, Check, and Clean: Before anything else, properly clean and sanitize all your exercise kits. This move will keep your equipment looking brand new after the move. You can use a paper towel and all-purpose cleaner or all-natural solution. There are plenty of options. Yoga Equipment: Start with the smaller items such as your yoga mats and accessories, including blocks, towels, and blankets. Use packing boxes that will hold all your yoga equipment. Yoga mats can be rolled and secured with a carrying strap or a bag before putting it in the box. After fitting in the other accessories into the box, fill the empty space with newspaper. Heavy-weight equipment (Dumbbells, Hand Weights, etc.,): When moving your heavy-weight equipment sets, make sure your moving boxes are sturdy enough to handle the weight. Use small moving boxes rather than larger ones. It will deter weights form bursting through. Plastic bins are also a great option to handle the load. Remember to wrap the weights in bubble wrap or newspaper during the move. Also, fill the box with blankets and towels. It will deter the weights from moving around and banging up against each other. Heaviest equipment (Treadmill and Elliptical): Since these pieces of equipment are extremely heavy, you will need a careful plan before you move them. You should check the owner’s manual on how to uninstall them. For the treadmill, wrap a moving blanket or other material around the entire device to protect it. The parts of an elliptical machine should be wrapped separately with moving blankets and label them, packing them in their original packaging. Don’t take the risk of moving your home gym yourself when you have already invested so much in buying them. You might find many parts are dysfunctional and even missing when you reach your destination. 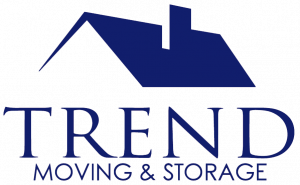 You can take the help of Trend Moving, the best professional moving company. Our moving company offers packing services to people in our community. Our experienced hands will make sure all your pieces of equipment are packed properly and transported to your new location safely. Make a call today.